The history of Europe in Africa goes far back in time when the Roman Empire annihilated the ancient Carthaginian civilisation that is now Tunis, Tunisia. During the modern period, the African continent has been colonised and controlled by all major European countries like Britain, Belgium, France, Germany, Italy, Netherlands, Portugal and Spain. It wasn’t until the 1950s that the former colonial powers started to let go of their grip on Africa by giving independence to their former colonies. Today, it is with a mixture of fear and awe that Europe is facing a rising Africa. In this current interconnected and globalised world, Europe is constantly increasing its interactions with its hinterland, Africa. As a result, its own future may eventually be determined by how its partnership with Africa benefits both continents. According to the latest 2017 United Nations review of the world population, the current European population of 742 million is on a decline and will drop to 716 and 653 million by 2050 and 2100 respectively. As for Africa, its population is now at about 1.26 billion, nearly 1.7 times larger than that of Europe. By 2050 and 2100, the African population will increase massively to reach 2.53 and 4.47 billion, a rise of 101.2% and 255.6% respectively, and eventually represent 40% of the world population. Therefore, Africa will grow to become 6.8 times bigger than Europe by 2100, creating a future market that Europe cannot afford to ignore now. Africa is still very young with about 60% of its population under the age of 25, while in Europe, this population segment is only about 27%. As for the elderly who are above 60 years old, one in four Europeans are in this segment, while for Africa, it is only one in 20. In terms of life expectancy, in Europe it is about 77.9 years, while in Africa, it is about 60.2 years. This means that not only is Europe facing a fast aging population, but also retired Europeans are living longer and longer. These major demographic trends show that there are tremendous opportunities for both Europe and Africa to leverage on their respective competitive advantages for greater value creation. On the one hand, the young African population provides an opportunity for Europe to boost its aging population through migration. This will not only help to boost the declining European workforce, but will also expand the overall economy through higher consumer spending from the young migrants in the long run. On the other hand, European companies can tap into the growing Africa to commercialise their products and services; thereby increasing their bottom line. According to Eurostat, the European Union (EU) traded about €3.45tn (US$4.06tn) with the world in 2016; with Africa, it traded €261.4bn ($308.1bn), representing about 7.6% of its overall global trade. Since 2002, Europe has constantly increased its exports towards Africa and over the last 15 years, its exports have increased by 105% to reach €144.9bn ($170.5bn) in 2016. During that same period of time, the overall gross domestic product (GDP) of Africa grew by 259%. Hence, as Africa grows, Europe can export more. As for its imports from Africa, they have increased by a lesser extent, about 41.1%. This is due to the fact that prices of commodities have dropped over the last few years. In 2015 and 2016, with Africa, the EU has maintained a net positive trade balance of €21.7bn ($25.5bn) and €28.4bn ($33.4bn) respectively. In fact, for last year, out of EU’s net positive trade balance of €37.7 bn ($44.4bn) with the world, Africa provided 75.3% of it. Trade with Africa is indeed proving to be very lucrative for Europe over the last two years. Germany, France and Italy – the top three economies in the Eurozone – traded €118.2bn ($139.1bn) with Africa, representing about 45.2% of the EU-Africa trade. For their combined trade, the top five African partners are Algeria (€20.6bn/$24.2bn), South Africa (€19.7bn/$23.2bn), Tunisia (€15.3bn/$18bn), Morocco (€13.3bn/$15.7bn) and Egypt (€13.2bn/$15.5bn). All three Eurozone economies have a positive trade balance with Africa and have accumulated a net balance of €19.2bn ($22.6bn) in 2016. And it is Germany that has reaped the biggest trade benefits with €10.4bn ($12.2bn) in positive trade. The EU is aiming to enhance its trade relationship with Africa by negotiating Economic Partnership Agreements (EPAs) with the various African countries. With a fast-growing economy and a demographic boom, Africa is and will continue providing major opportunities to the EU. As a result, it is in the interest of the EU to continue supporting Africa’s economic development, as well as fostering the rise of Africa. Manufacturing companies in Europe are facing high operational costs due to the cost of labour. Thus, a cost optimisation strategy with the delocalisation of some of the lower value-added activities to Africa will keep them competitive, while tapping into the huge pool of young and less expensive labour. By manufacturing locally and by being near the huge and attractive potential markets, companies will indeed have a cost advantage. Consequently, by making their products more affordable, not only can a bigger market be captured, but with local costs of production, a more sizable profit margin may be churned out. Morocco has been promoting its aviation and aerospace sector in Casablanca and has been successful in attracting many European companies. To support the production of its aircrafts, Stelia Aerospace, a subsidiary of the Airbus Group, moved some production there. In doing so, other European aerospace companies like Dassault Aviation, Daher Aerospace, Nexans, Safran, as well as others eventually followed and delocalised some manufacturing as well. For Airbus, it aims to capture a bigger share of the African markets and sell 1,000 aircraft within the next 20 years. French car manufacturers Renault and PSA Peugeot Citroën have production facilities in Morocco and Algeria. As for Germany’s Volkswagen, its main production is in South Africa and it has recently opened another plant in Kenya to target the East African region. For consumer goods, Dutch-British Unilever is present in 19 African countries, but it sells its products throughout the continent. To better capture the African markets, it manufactures many of its brands in Egypt, Ethiopia, Kenya, Nigeria, South Africa and others. All these European companies are therefore tapping into the local and regional markets to support their local production, as well as enhance their overall sales. mining, as well as oil and gas, are active in the continent. Major companies like British Petroleum, Anglo-Dutch Shell, French Total, Norwegian Statoil, Italian Eni and Spanish Repsol are present all over Africa. They are tapping into the many recent oil and gas discoveries made in Africa. For instance, Eni discovered major gas reserves in Mozambique and Egypt; and in the coming years, it is planning to invest €20bn ($23.5bn) in Africa. As for mining companies, Anglo American, BHP Billiton and Rio Tinto are mainly in South Africa, while Glencore has spread out over Africa with major copper mining operations in Zambia and Democratic Republic of the Congo. Moreover, Anglo American, BHP Billiton and Glencore have dual listings with the London Stock Exchange and the Johannesburg Stock Exchange. To trade all these commodities from Africa, major Swiss-based traders Mercuria, Trafigura and Vitol buy and sell across the world. Other large companies are seizing opportunities with the economic development of Africa by participating and building infrastructure-related projects. For instance, Italian Enel is now operating 520 megawatts (MW) of wind and solar power in South Africa and it aims to have 5,000 MW of renewable energy capacity in Africa. German Siemens worked on the largest wind project with a capacity of 310 MW at Lake Turkhana in Kenya. In Egypt, it has just delivered the first of three 4.8 gigawatts (GW) natural gas power plants in a deal worth €8bn ($9.4bn). As for Schneider Electric, not only does it have manufacturing facilities in Egypt, Kenya and South Africa, but it has also participated in many electrification projects. In services, British banking giant Standard Chartered is present in 15 African countries. Similarly, for the French banks, BNP Paribas and Société Générale are present in 10 and 18 African countries respectively, mainly in the francophone region. All these banks are banking the activities of the European companies in Africa as well as capturing the growing local affluent consumer banking market. By 2100, Europe will be standing next to an African giant with its 4.47 billion people. Europe can choose to build walls against Africa, but in the end, it will be to its own detriment. With or without Europe, Africa will move, especially when it can choose nowadays to partner with Asian countries like China and India. Consequently, for its own future prosperity, Europe must not only remain open to its African neighbours, but also be receptive to the many opportunities that Africa can offer. As it is, Africa is providing Europe and all its major European companies great opportunities. 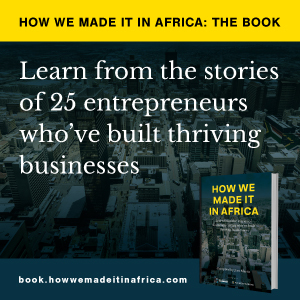 Their growing footprint in Africa will eventually generate bigger future returns. Hence, Europe cannot afford to be myopic and keep a short-term outlook with Africa. It is in the long-term interest of Europe to support the African development process and build on the synergies that both continents can tap in. In the end, Europe will definitely benefit from Africa rising.